If protecting children from harm is the hallmark of a civilised society, the United Kingdom is failing the test when it comes to alcohol marketing. A new analysis conducted by the RAND Corporation for the European Commission shows that British regulatory structures are so flawed that teenagers, far from being shielded from alcohol promotion, are more exposed to it than are adults.1 It shows, for example, that 10-15 year olds in the UK see 10% more alcohol advertising on TV than their parents do. Even more shocking, when it comes to the specific sector of alcopops, they see 50% more (figure⇓). Furthermore, digital advances are set to make things even worse. Although television is still the alcohol marketer’s principal channel of choice, it is rapidly being overtaken by new types of media, especially campaigns that harness social networking sites such as Facebook and Twitter. This sector is so ubiquitous and multifaceted that RAND’s analysis was unable to draw any sensible conclusions about relative exposure. The corporation did note, however, that—although we are all suffused in it—young people are the heaviest users, and alcohol marketers are exploiting the resulting opportunities with enormous energy. This deeply regrettable state of affairs is completely predictable. The voluntary commitment made by the drinks industry—restated most recently in October 2012,3 a month after the new analysis was published—is to restrict its advertising to media that “have a minimum 70% adult audience.” The so called 70:30 split is based on the share of the US population above the legal drinking age of 21 but has been applied generally around the globe, with a ratio of 75:25 in the UK. In the UK only 21% of the population are under 18, and of these 5% are infants, so the voluntary guidelines allocate these children an audience share of 25% even though they comprise only 16% of the population. The RAND study shows that this is delivering exactly the result that would be expected: children are more exposed than adults. It also suggests two further conclusions. Firstly, the disproportionately high exposure of children to alcopops advertising cannot be explained simply by the regulatory system; deliberate targeting must also be at play. We have to assume that alcohol advertisers are not deliberately aiming their campaigns at children, but internal documents show that they are enthusiastically targeting the profitable group of young people aged between the legal minimum drinking age and 21 years, the LDA-21 demographic.4 As the Health Select Committee and others have noted, there is a great danger that such neatly targeted campaigns will spill over into younger groups5; and the RAND analysis shows unequivocally that they do. Secondly, digital media are tearing up the communications rule book. Phenomena like user generated content, view-any-time TV, and passed along video make age based controls on access increasingly meaningless. Messages are no longer sent from a few active sources to many passive recipients; they now ricochet between multiple users, melding the wiles of Madison Avenue with the peer pressure of Facebook. This results in marketing that is simultaneously more powerful and less controllable. Our children urgently need protection from alcohol marketing. Voluntary codes and partial measures have all too obviously failed, and marketing through digital media is set to multiply the resulting harm. This week sees the publication of the UK’s first independent alcohol strategy,6 which calls for a comprehensive suite of measures to combat the public health harms being caused by alcohol. Central to its recommendations is a complete ban on alcohol advertising and sponsorship. The RAND report confirms that such a step is long overdue. Competing interests: Both authors have completed the ICMJE uniform disclosure form at www.icmje.org/coi_disclosure.pdf (available on request from the corresponding author) and declare: no support from any organisation for the submitted work; no financial relationships with any organisations that might have an interest in the submitted work in the previous three years; NS is a principal investigator for the National Institute of Health Research Southampton Biomedical Research Centre, co-chair of the Department of Health Responsibility Deal Alcohol Network, Royal College of Physicians representative to the European Union Alcohol and Health Forum, and has various related commitments, none of which are paid. GH is an executive committee member of Alcohol Focus Scotland; director of the CRUK Centre for Tobacco Control Research; a principal investigator on the International Tobacco Control Study, the UK Centre for Tobacco Control Studies, and the MRC funded APISE study; a member of the Public Health Research Consortium; and he sits on the advisory board of the Institute for Alcohol Studies; in these roles he has conducted research, advised national and international public bodies, and written articles and books on the impact of business on society. Winpenny E, Patil S, Elliott MN, van Dijk LV, Hinrichs S, Marteau T, et al. 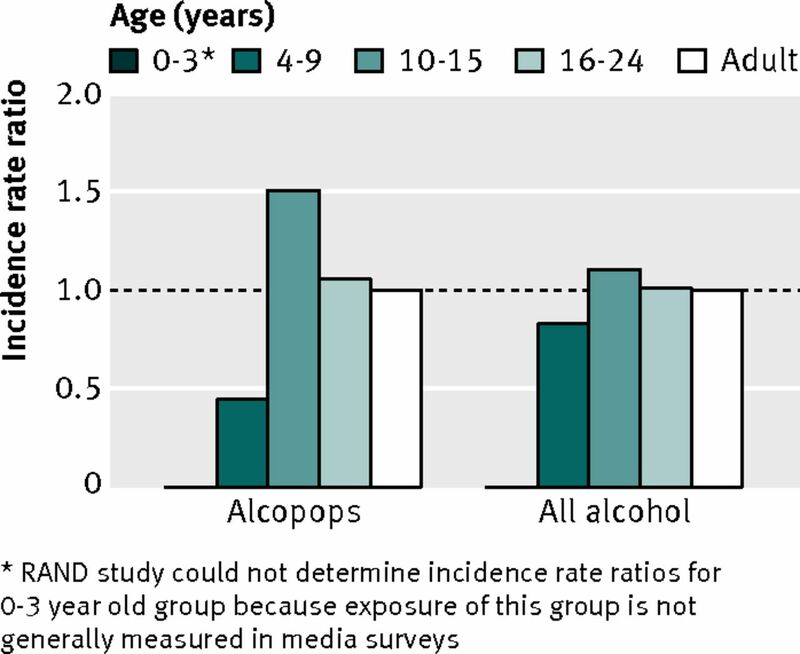 Assessment of young people’s exposure to alcohol marketing in audiovisual and online media. Rand Corporation, 2012. www.rand.org/pubs/external_publications/EP51136.html. Science Group of the European Alcohol and Health Forum. Does marketing communication impact on the volume and patterns of consumption of alcoholic beverages, especially by young people? A review of longitudinal studies. 2009. http://ec.europa.eu/health/ph_determinants/life_style/alcohol/Forum/docs/science_o01_en.pdf. International Center for Alcohol Policies. Reducing harmful use of alcohol: beer, wine and spirits producers’ commitments. 2012. http://event.global-actions.org/Reducing%20Harmful%20Use%20of%20Alcohol.pdf. Hastings G, Brooks O, Stead M, Angus K, Anker T, Farrell T. Failure of self regulation of UK alcohol advertising. BMJ2010;340:b5650. House of Commons Health Select Committee. First report of session 2009-10. 2010. http://www.publications.parliament.uk/pa/cm/cmhealth.htm. University of Stirling. Health first: an evidence-based strategy for the UK. 2013. www.stir.ac.uk/management/about/social-marketing/.